This graphic pretty much says it all. 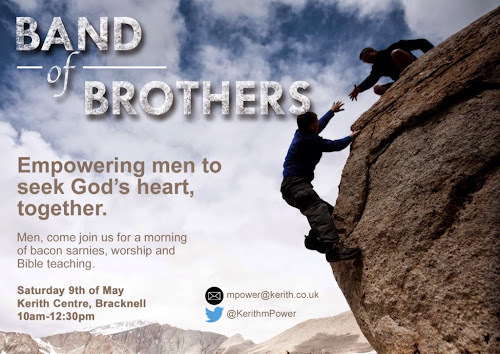 On Saturday 9th May, 10am at the Kerith Centre on our Bracknell site the men of Kerith, and any other guys who fancy come along, will be gathering for a morning together to drink coffee, eat bacon sarnies (with a veggy alternative), worship and dig into the scriptures around what it means to be a man after God's heart. And it's all free! For more of a flavour of what it's all about take a look at the promo video below, featuring our very own James Hosker and Ben Pocock.